Zen Ohashi is a master management coach whose methods have been introduced to more than seventy major corporations, companies such as Exxon-Mobile, Fuji-Xerox, British Airways, Canon, Honda and Mitsubishi. In this volume he has created a method for living. A way you too can be successful and powerful in your everyday life. Thirty-one phrases are coupled with simple methods and short explanations designed to implement empowerment and change in lives of readers. 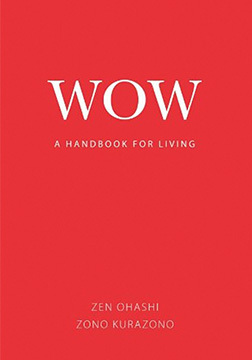 Designed to be carried with you and pulled out when you need it, WOW is the ultimate handbook for life.